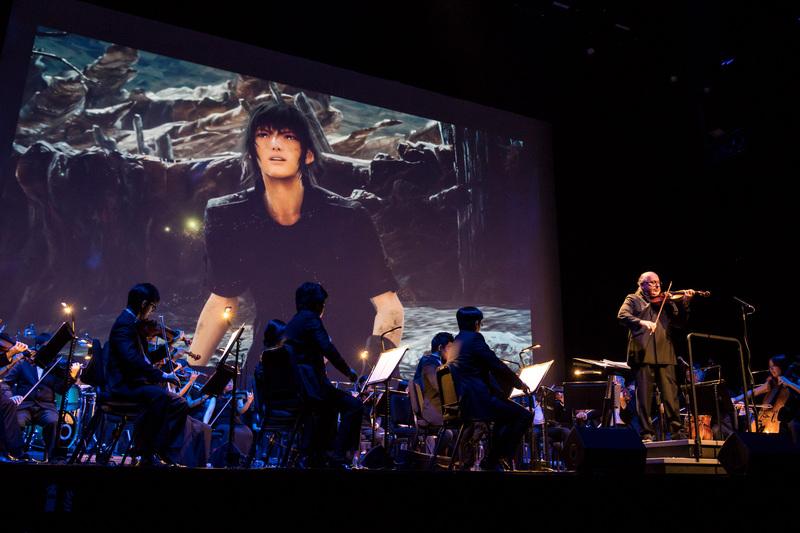 Fans of the video game series Final Fantasy gathered at The Star PAC on Saturday night for a thoroughly immersive experience of the game’s audio masterpieces. 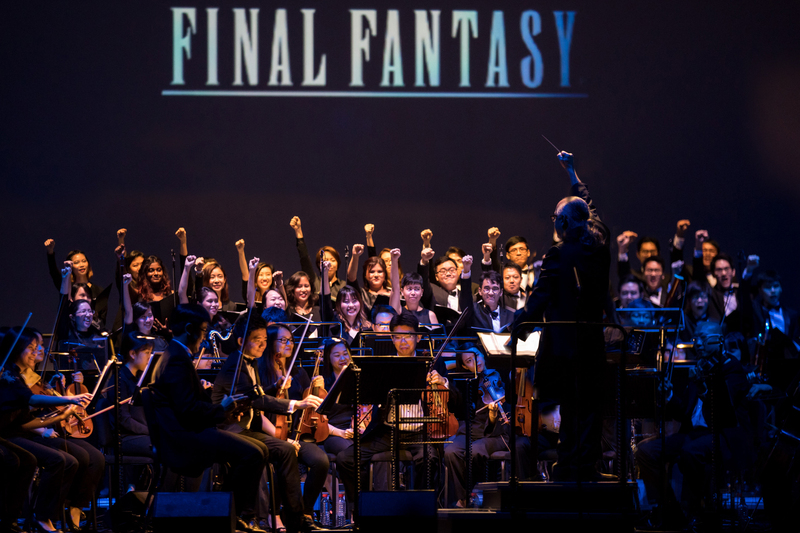 Combining exclusive HD video content from legendary game developers Square Enix, with a live performance by the Metropolitan Festival Orchestra and Chorus, fans were treated to both stunning visuals and new arrangements of classic pieces. 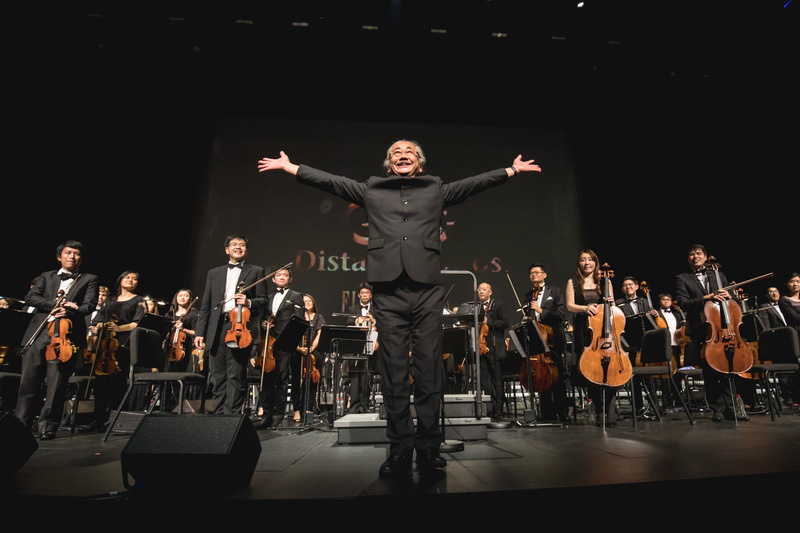 Conducted by Grammy-award winning conductor Arnie Roth, The Distant Worlds Tour 2017 celebrates 30 years of Final Fantasy, and Singapore is the tour’s only stop in Southeast Asia. We were also fortunate enough to have the composer of most of the game’s music, Nobuo Uematsu, in attendance. This year is also the symphony concert’s tenth. The night began with fans arriving early. Dressed as their favourite characters, the cosplaying fans added to the visual feast as the energy in The Star PAC continuously built. All around me, the excited crowd buzzed with anticipation. Strangers shared stories of their favourite Final Fantasy moments with each other. Some fans had travelled from neighbouring countries to watch this concert. The performance had not yet started but their shared love for the game made me feel like I was surrounded by old friends. When the lights dimmed and the spotlights on stage brightened, showcasing a large ensemble and a conductor (Roth), the auditorium practically exploded. The orchestra and choir eased into “Prelude”, closely followed by “Victory Theme” and an introductory speech by Roth in which he thanked the fans for coming. He shared about the upcoming songs in the concert’s next segment. Fans cheered and whooped, impressively raising their volume even further when Uematsu was introduced. Shortly after, the orchestra launched into “Flash of Steel” from Final Fantasy: XII, as well as “The Oath” from Final Fantasy: VIII. The rich sounds of the orchestra were mesmerising. From the gentle strings of the harp to the triumphant blasts from the horn section, not a single note was lost in the largeness of the symphony. 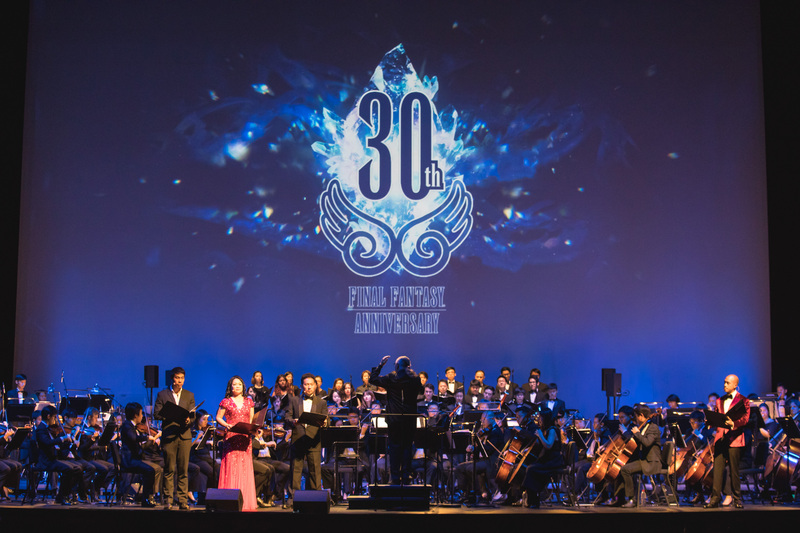 Surprised gasps were drawn from the audience when the orchestra started playing “Searching for Friends” from Final Fantasy: VI, a new score specially released for the tour’s 30th anniversary. The piece was followed by another Uematsu classic, “Theme of Love” from Final Fantasy: IV. Here, the crowd grew silent as they watched a familiar scene unfold on the video screens. Tears began to fall and soft sniffles were heard throughout the auditorium as the music pulled at their heartstrings. Roth introduced the next song as one from the most well-loved and popular Final Fantasy games. Whispers and murmurs could be heard amongst the fans as he paused in his speech, the anticipation exponentially rising as the crowd waited for him to continue. The Star PAC erupted into cheer when the beginning of “Cosmo Canyon” from Final Fantasy: VII started to play, this time with a new score and a new sound. Fortunately, the fans of Final Fantasy: VIII weren’t left disappointed and were also entertained with the truly classic “Not Alone”. The crowd couldn’t get enough, and both Roth and the orchestra knew. Launching into “Liberi Fatali”, a well-known track amongst all fans of the game, the crowd whooped and cheered as the urgency and adrenaline of the song left them hungry, eager for more. I must say that the positioning of this track in the setlist was exemplary, as the concert then broke off into an intermission right after. However, fans were unable to sit still, and restlessly moved about, hyped up on the energy of the last song. While some took the fifteen-minute window as a chance to go to the nearby bathrooms or grab a quick snack from The Star PAC’s concession counters, many mingled with other fans like themselves. Most chatted excitedly in their groups, discussing what songs they thought were going to play next, and all the things they enjoyed about the first half. An announcement signalling the end of the intermission caused fans to hurry back to their seats, as the lights in the auditorium dimmed for the start of the second half. Not a soul was let down when the orchestra came back strong with yet another hit, “Bombing Mission” from Final Fantasy: VII. Fans sang along to the theatrical notes sung by the choir, pumping their fists to the sky. This turned to stunned ‘oohs’ and ‘ahhs’ when “Somnus” from the latest chapter of the game, Final Fantasy: XV, began. The sniffles returned, as everyone watched the accompanying video unfold. I was in awe at how earnest and genuine this piece was. I have not played any of the Final Fantasy games but the video drew me in deeply with its clarity, beauty and story. 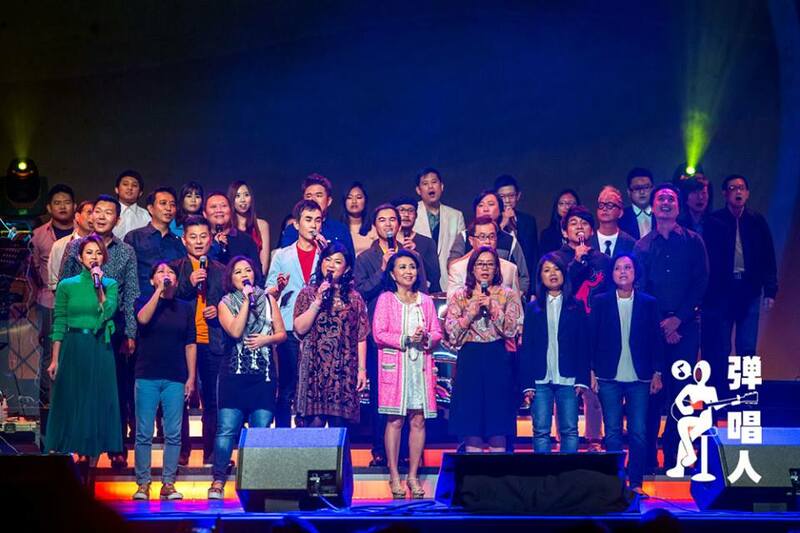 A few more tracks from the video game series were played, one even including a narrator and three soloists as they told a story of two in love through song. However, the best was yet to come. Roth teased the crowd as he faked his leave from the stage, only to come back almost immediately for the encore with a grin on his face. The smiling conductor invited Uematsu on stage. Together, they hinted at what the last track was going to be. The crowd went mad as the first few chords were plunked on the piano. 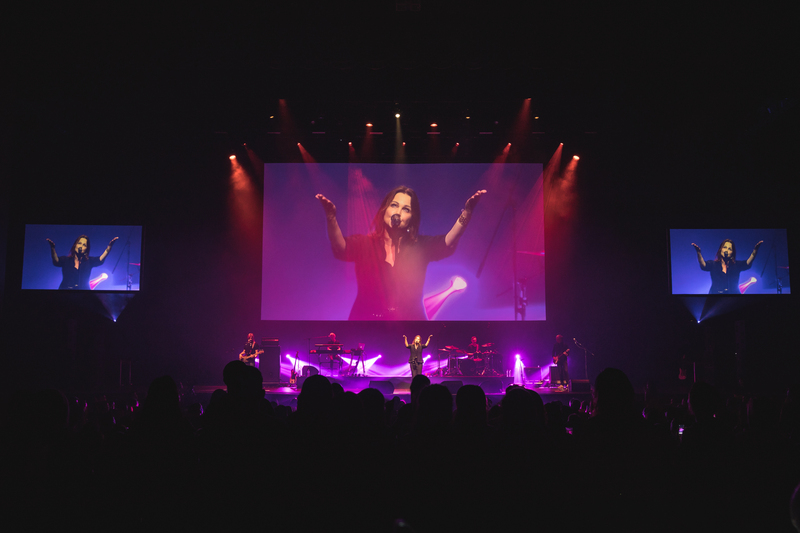 Roth encouraged the crowd to chant the one-word that everyone knew, the word ‘Sephiroth’ from arguably one of the most popular themes “One-Winged Angel” from Final Fantasy: VII. The biggest reaction of the night was handed to this marvel of an encore. I never believed that fans could possibly sing along to wordless musical compositions performed by an orchestra. But I was proved so wrong that night. The musicians played spectacularly, the music in time with the astonishing graphics. There was no lull in this concert, just a beautiful ever-increasing movement of music and energy. Distant Worlds: Music from Final Fantasy – JIRITSU was definitely an experience and while I’m not a part of this franchise’s large and ever-growing fandom, I must admit that on Saturday night, I sure felt like I was.